Russia's space agency said on Tuesday the next manned mission to the International Space Station would blast off between July 23 and 25, after it delayed the launch due to a rocket failure. Roscomos space agency issued a schedule for the launch from Baikonur in Kazakhstan carrying astronauts from Russia, Japan and the United States giving the range of dates. The space agency said that the exact day would be decided later, adding that the uncertainty was due to the fact that the ISS on Monday had to alter its orbit to avoid space garbage. The launch was originally set for May 26 but was delayed because an unmanned Progress supply ship heading for the ISS suffered a failure shortly after launch on April 28 and fell back to Earth. 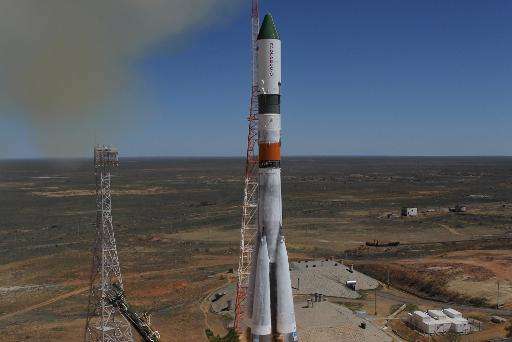 Roscosmos said the accident happened because the third stage Soyuz 2.1-A rocket carrying the ship into orbit separated in the wrong way due to a design flaw. Russia said it would modernise the Progress space ship design to prevent the problem happening again when it is used with this specific type of rocket. The next Progress supply ship is set to go up to the ISS on July 3, using a different modification of the workhorse Soyuz carrier rocket. The manned missions are powered by similar Soyuz rockets, although the rockets ferrying astronauts have never failed. Russia said the following manned mission would leave on the originally planned date of September 1. British singer Sarah Brightman pulled out of her plan to fly as a space tourist on the flight for a fee of $52 million. The head of the cosmonaut training centre, Yury Lonchakov, said Monday a replacement would be announced in the next couple of weeks.